Flat Clay made a surprise appearance on August 3, 2007. 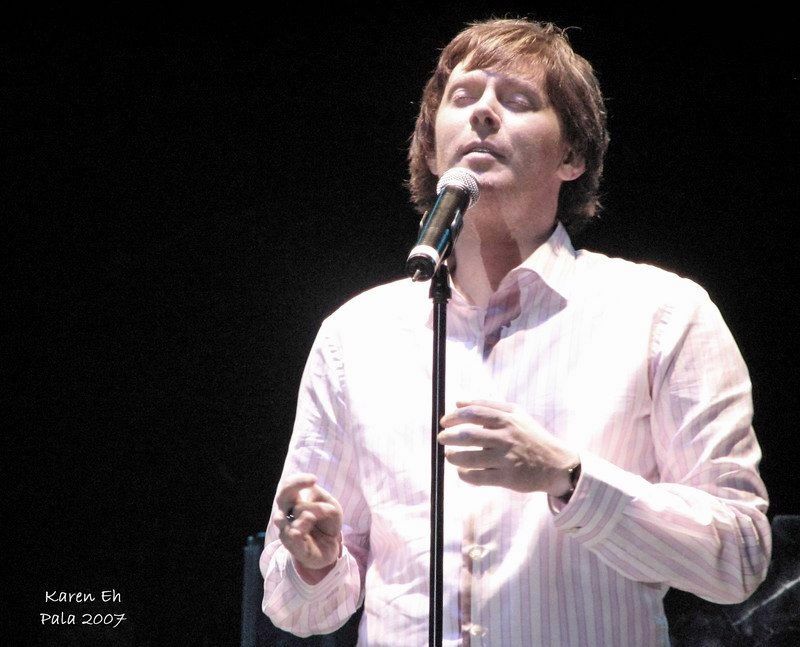 He was the center of attention as he stood straight in the window of a hotel room, looking down at the audience, the orchestra and……..Clay Aiken. The Pala Casino Resort and Spa was the backdrop for this interesting meeting of Clays. Just north-east of San Diego, Pala is one of the largest casinos and resort hotels in all of Southern California. 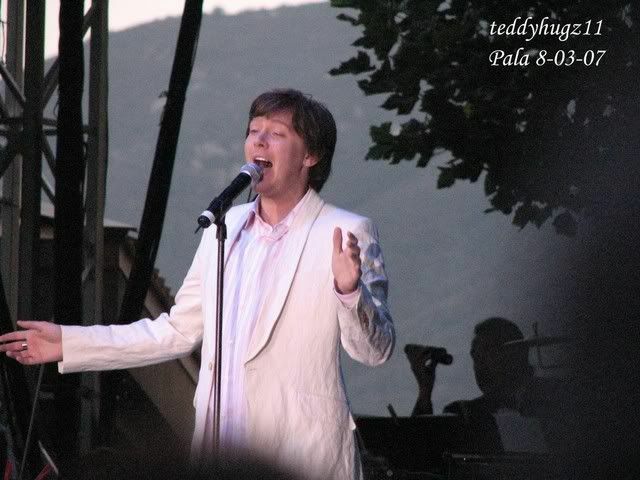 Clay was in the middle of his summer tour, nicknamed the “Soft Rock and A Hard Place” and was at Pala for the second of a four concert series in Southern California. 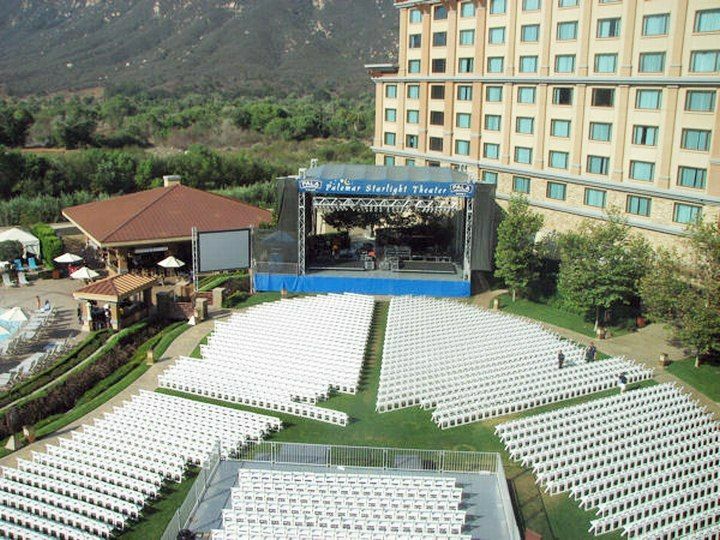 The setting for the concert at Pala was outside. The 2000 plus audience was in folding chairs and was surrounded on two sides by the large hotel. The rooms looked right out onto the concert area. 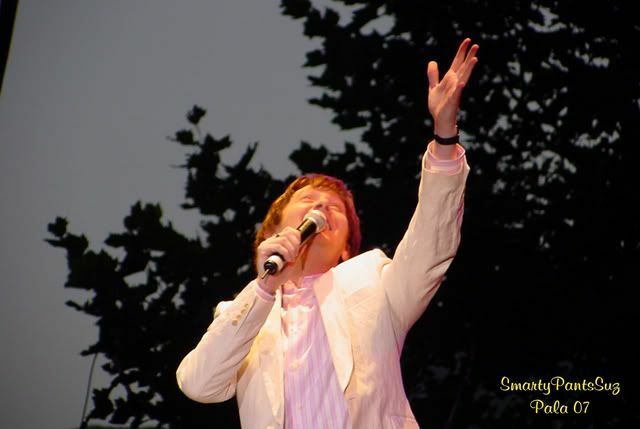 At one time in the concert, Clay joked that there were people “stealing” his concert by watching from their rooms. Angela and Quiana were looking up too and noticed Flat Clay. 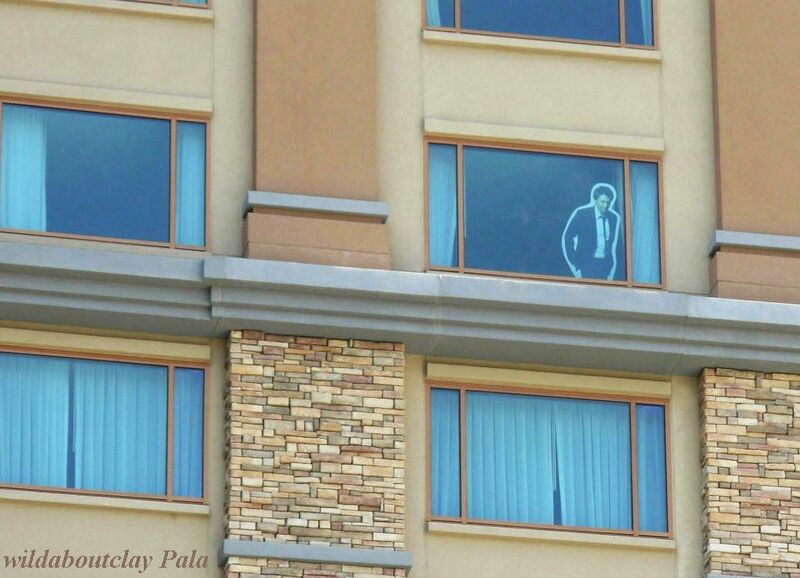 Real Clay was amused and joked about the cardboard cut-out that was keeping watch in a window on one of the top floors. Someone in the audience told Clay that Flat Clay went everywhere with her. Clay asked how he fit in the car and laughed when he found out he was folded in half and shoved in the trunk. The next song on the playlist was “When I See You Smile” and Clay had fun singing it to Flat Clay…….it was almost a Love serenade. The audience was laughing and so was Clay!! The Pala concert was wonderful. The setting was beautiful and the performance was incredible. Clay and his back-up singers were outstanding and the orchestra provided a professional backing for Clay. The audience was loud, supportive and gave more than one standing ovation to the performers. But when Clay sang “Lover All Alone”, you could have heard a pin drop in the audience. The cellist that night was particularly good and the entire song was amazing. The fans in attendance felt it was one of the best concerts of the summer. Error: Error validating access token: Session has expired on Tuesday, 21-Aug-18 16:13:01 PDT. 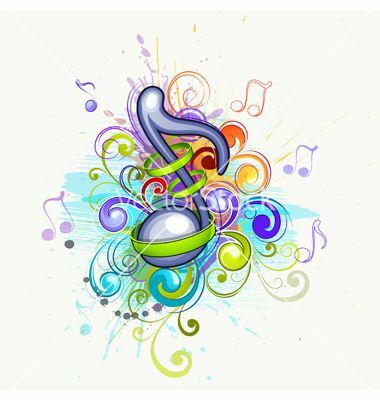 The current time is Wednesday, 24-Apr-19 22:34:36 PDT.